Welcome to the Safety Solutions Academy Podcast! 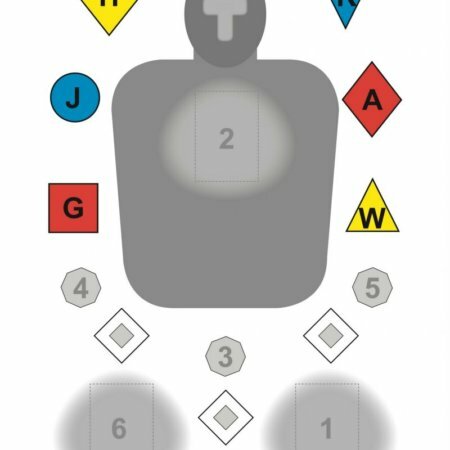 If you are working to sort out the complexities of personal protection, increase the efficiency of your defensive training and demystify the tools you need to keep yourself and those that you love safe then the Safety Solutions Academy Podcast is the place of you! I am your host Paul Carlson and I am so glad have joined me today. You can contact me by sending comments, questions and topics for future shows to [email protected] I would love to hear from you! 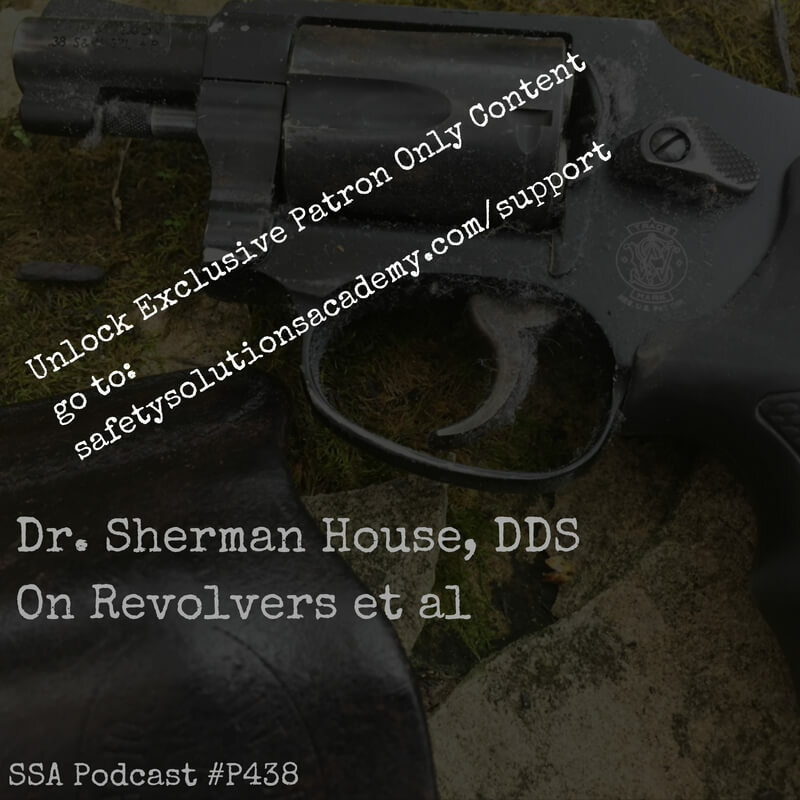 This is episode 438 of the Safety Solutions Academy podcast and in today’s episode we will be continuing our month of content focused on the J-frame revolver. You could think of it as J-frame January if you like. Just more like August… We have 4 revolver centric podcasts recorded and ready to launch with supporting blog posts and unique video content that is certain to help you learn a thing or two about revolvers. Last episode we spoke to Chuck Haggard on revolvers you can listen to that episode by simply heading to safefysolutionsacademy.com/437 and you can stay on top of all the J-frame content by heading to safefysolutionsacademy.com/jframe. 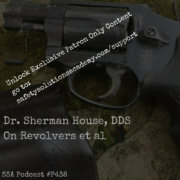 This week we will take our J-frame content in another direction as we talk with Sherman House of civiliandefender.com. Sherman has a very diverse body of experience. You can (and should) read about his history here. I have had the opportunity to train in and observe Sherman as an instructor in multiple courses at Paul-e-Palooza. Several of these classes were classes specifically related to effectively shooting small guns. The fact that the firearms industry is full of people that aren’t gun people and what the impact is. The fact atet the New York Police Dept. stops allowing officers to carry revolvers. and lots of information about revolvers. Where can you find out about the Safety Solutions Academy Podcast? You can learn more about the Safety Solutions Academy podcast by heading to ssapodcast.com where you will find the latest episodes of the Safety Solutions Academy Podcast. The Safety Solutions Academy Podcast is currently a podcast that is sponsor free and it is supported completely by it’s listeners. You can support the Safety Solutions Academy podcast by heading to safefysolutionsacademy.com/support and becoming a patron. In addition to helping to spread the Safety Solutions Academy podcast and it’s important personal protection podcast to a larger audience of people just like you, becoming a patron provides you with access to exclusive content available through a private feed for patrons only. Finally, patrons are eligible for exclusive rewards like training with Safety Solutions Academy, ammunition and even a chance to receive a new handgun. Head to safety solutionsacademy.com/support to become a patron today. In today’s Exclusive Patron only portion of the podcast Sherman and I talk about difficulty and complexity and how diving deeply into a topic can help to solidify your fundamentals. Again, check out safefysolutionsacademy.com/supportfor more information on how you can gain access to the exclusive patron only content.